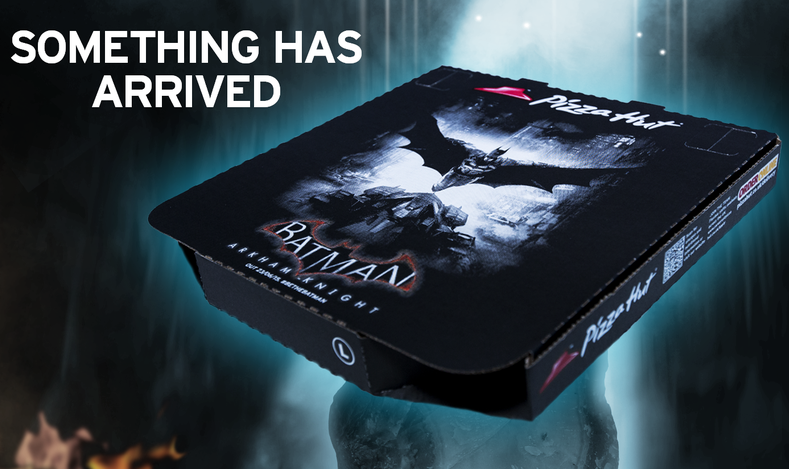 BAT - BLOG : BATMAN TOYS and COLLECTIBLES: #BATMAN: ARKHAM KNIGHT Pizza Hut Deal - UK ONLY! #BATMAN: ARKHAM KNIGHT Pizza Hut Deal - UK ONLY! 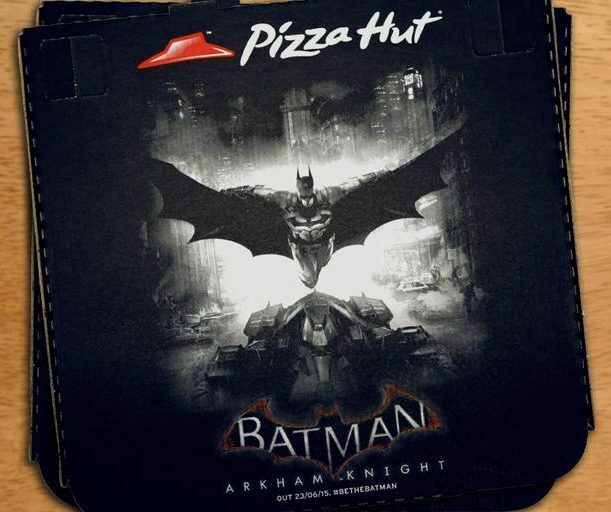 A friend of ours shared a photo he came across the other day showing a special promotional item for the BATMAN: ARKHAM KNIGHT Video Game and I kind of spazzed-out a little bit when I saw it, ha ha! But, after doing some research, I found out this is a special UK (England) ONLY Exclusive, Bummer! But basically it looks like the only thing you get is a special delivery box, woo hoo! Still, the graphics on the box are pretty cool and I would like to have one. I'm not sure if there will be any special premiums or give-away items yet. Pizza Hut's lame website said nothing. So, if you live there, please let us know... thanks!